It’s great to live in a place like Hoover! 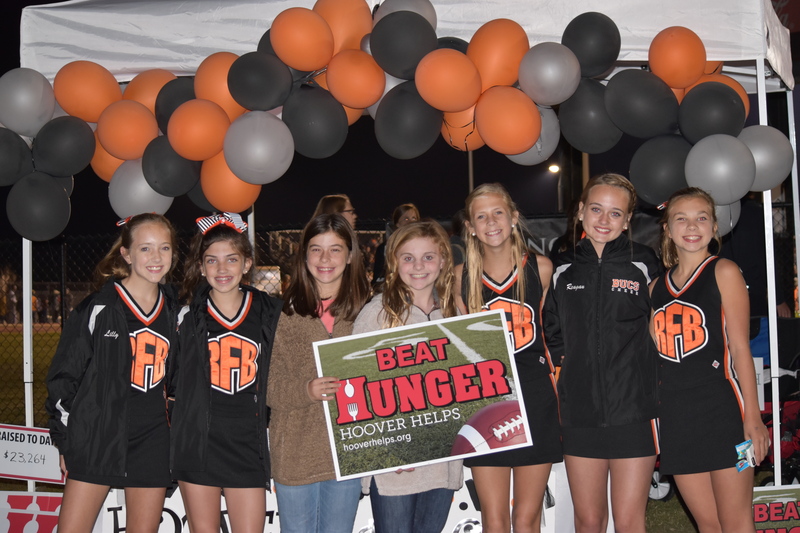 The 4th Annual Hunger Challenge occurred on a perfect football night, October 12, 2018. 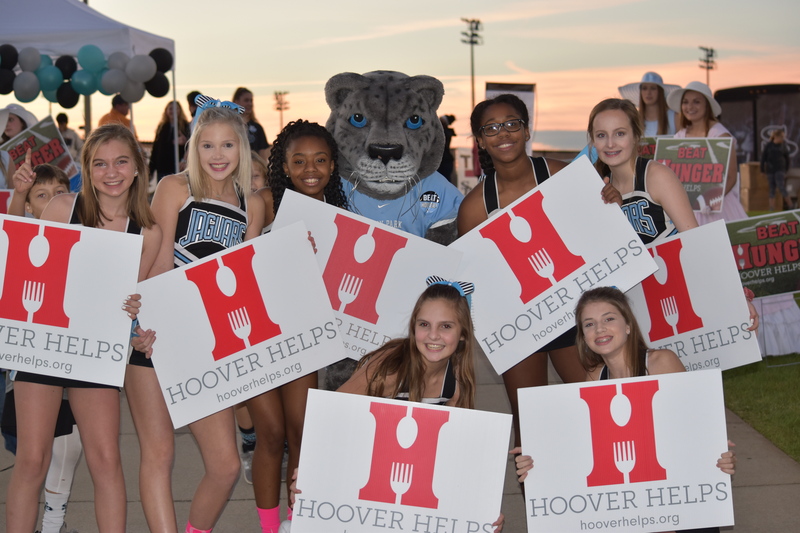 The Hoover and Spain Park fans, once again, delivered strong support for the children in Hoover that are food insecure. Thank you all for the generous donations and a great night! After the final late donations, Hoover fans donated $6,571.82 and Spain Park fans donated $3,207. The total $9,778.82 collected will go directly into programs benefiting children in need that live in Hoover. 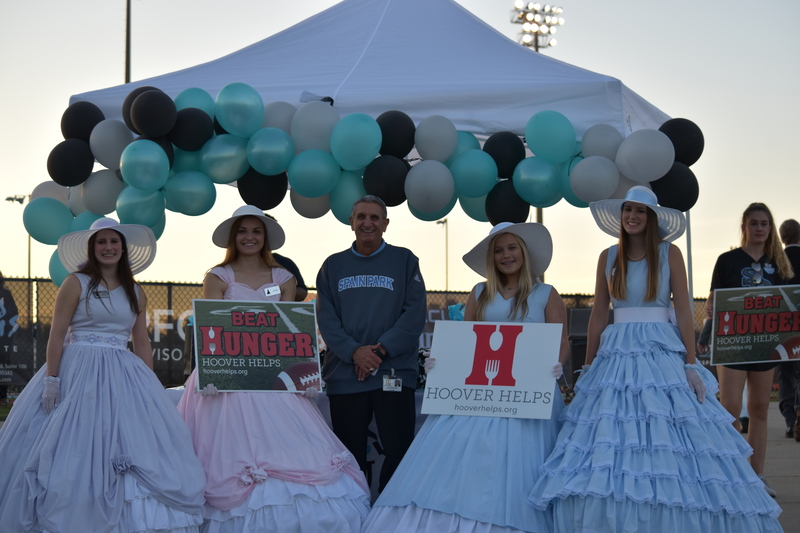 Thank you to the many volunteers that participated in the event – Hoover DECA, Bumpus Cheerleaders and Berry Cheerleaders, The Hoover Belles, Spain Park SGA and many others. A special thanks to Blake Hollingsworth. Blake helped lead The Hunger Challenge and has successfully completed an internship with Hoover Helps this past summer. He exceeded expectations and completed numerous important projects that provided food to hundreds of families in Hoover. Blake made important presentations to city leaders and conducted significant meetings representing Hoover Helps. He also spent time working on social media. Great work Blake!